Does the grounded, growing, fruitful tree describe you? Stephen Lutz warns ministry leaders from becoming spiritual tumbleweeds, tossed about and shifted around by the winds of change. He suggests that we be like trees instead. 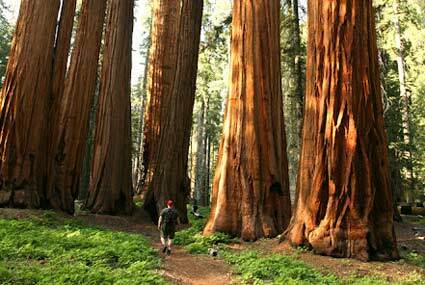 We ought to strive to be like Sequoias who are known for their impressive mass and strength. We ought to be like Bristlecone Pines, known for their resiliency. We ought to be like the Trembling Giant aspen in Utah, a tree known for its reproductive capabilities. Helping your ministry become that sort of tree begins with you. What does it look like for you to be grounded, growing, and fruitful? Only once you have asked that question can you ask what it looks like for your ministry to be grounded, growing and fruitful. Both of these are callings. The first is a call to come to Christ. The second is a call to go for Christ. Any growth and fruit will flow out of knowing these two truths. I’m don’t think that he makes the explicit connection… but he does make a connection to where Isaiah talks about God making his people into oaks of righteousness.